Oh boy, it’s been a while since I’ve put out a new video. I’ve missed you all! 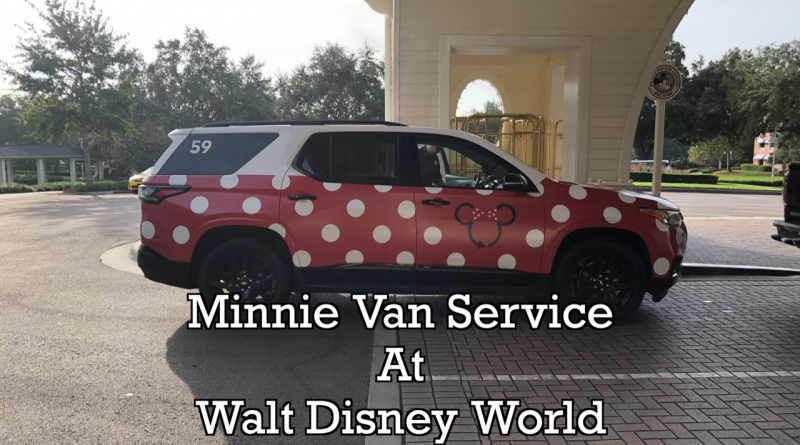 I feel a bit rusty after a few weeks off, so let’s ease into it with a short video all about the Minnie Van service at Walt Disney World. Have you used the Minnie Van service? What are your thoughts? Share them below, along with your favorite Christmas gift! Hi. Is there room in the back for a double stroller when the car seats are in use please? Yes, we put our stroller in the back and it fit easily! What Terry said. The Cast Member was able to easily fit our double stroller into the trunk of the Minnie Van. No problem! Think we will make use of the vans in April with 6 of us inc 2 kids. We have a couple of early ADRs and a fireworks cruise that may need a swift entry/exit! Like anything, they are time dependent. I spent about 15 minutes refreshing my request at Animal Kingdom Lodge one night trying to get home to the Contemporary. Ended up taking a taxi. We needed the car seat option and there wasn’t a lyft/uber that had 2 of them in the area. I find that their new pricing model makes them too expensive for most of our uses compared to available alternatives. That is true. It depends on the event and the time of day. It was more difficult to get a Minnie Van after Mickey’s-Not-So-Scary Halloween Party, though we did manage to get one. I can see early mornings being another busy time of day due to breakfast reservations and Extra Magic Hours. The new pricing structure is another factor to consider as well. When they were $25, they were well worth the cost in my book. Now having a short ride cost me more than $30 one way, it’s something I would only save for special occasions. What is the deal with taxis and car seats? We have twins and I don’t really want to pay a premium for a Minnie Van when a taxi would work just as well. To some, taxis seem to be less reliable, more expensive and not as safe than using a Minnie Van or other ride-share service. That being said, it’s completely your choice to use what you feel comfortable with. As an aside, I’ve also used UberFAMILY for my kids and they also provide a carseat, so that may be another option for you. We used the Minnie Van after the MNSSHP this past September and it was a huge help as our 3 year old had fallen asleep and then started getting a night terror as we were walking out of MK. We were so thankful we did not have to get on the bus as she was going through that. Also, our driver was really nice and gave me some great Netflix recommendations, haha. However, on the last day of our trip we also tried to get a Minnie Van from HS to the Beach Club and we waited for 10 minutes with no one accepting our request. I couldn’t even see any vans on the map. I asked the cast members in the parking lot if they had heard of any issues going on. They said they hadn’t and also said vans had been coming in and out all morning. It was really strange and we eventually had to start walking (or running for me) back to the hotel as we were almost late to check out. I would definitely use the Minnie Van in the future, but I probably would not in a situation where I could miss a flight or a reservation as I’d be too nervous now that same issue would happen again. How awful for you and your toddler, and what a relief it must have been to not have to take the bus! We found that same relief after the party. It was so nice to escape the heat and take a nice, quiet, air-conditioned ride home with our kids. I’m sorry for the experience you had later on. The fleet is continuing to expand, so my hope is that these kind of things will happen less and less frequently as time goes on. I’m glad you weren’t late to check-out! We were at Disney World in late November and one night after closing down Magic Kingdom, my sister made the decision for all of us that we were not waiting for the bus to the All Stars and got us a Minnie Van. It was one of the most magical experiences of the trip. Right up there with having TSA precheck at MCO :). We got the huge Minnie Van (the one you take to Port Canaveral) and our driver was so nice. She dropped us right at our room. Taking a Minnie Van over a bus ride to the All-Star resorts was an AMAZING choice. What a wonderful treat from your sister! They need to make a secondary service without(or with 1) car seats, perhaps a 5 seater car/sedan…. give 2 options and increase supply, and free up the 7 seaters w/car seats for those that need them. I used it on my last trip in September because I have a scooter and they do have ADA vans. It was very helpful as I was on a bit of a short window to go from Pop to GF for an appointment before MNSSHP. Super nice cast members and I loved the van. However, now that they have changed the prices I doubt I would use it again. At $20 it was great, at $25 still not bad, but with prices now going over $30 for rides that I know are not that far and would be priced dramatically less on a ‘regular’ ride share service (even though I can’t take advantage of that with the scooter) I just can’t see myself spending the money. I understand. My mom uses a scooter when we go to Walt Disney World and while this would be a nice treat, I can’t see us spending the money that often due to the increased cost. 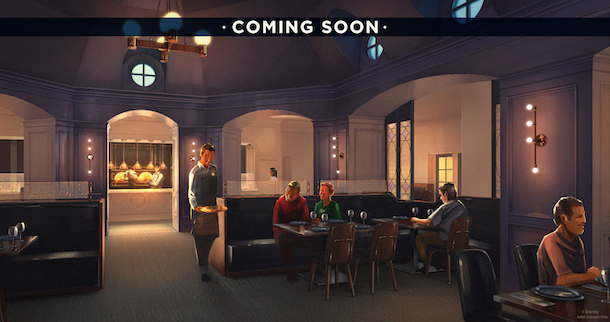 I am going to try this out from Pop to AKL for a breakfast reservation at Boma. I am disappointed that the price has gone up so much for such a short ride, but it will be my only taxi ride during my entire trip so I am going to splurge on this. How do you request two car seats? You dont need to request them, they all have two in the trunk ready to be installed when they pick you up!